Even if Simon Thacker never makes another record ever, his reputation will rest on Karmana a flawless creation by the great Scottish guitarist. For sheer texture, colour and sweeping narrative it is an artistic masterpiece. Its hallucinatory power holds the listener in every respect: the ethereal voice and violin of Masha Natanson, the voice of Karina Polwart, who sings in Roma, the superb tabla performance by the celebrated tabalchi Sarvar Sabri and, of course, in the beautifully nuanced and dramatically inebriating performances of Thacker and cellist Justyna Jablonska. The album centres on the six-part “Karmana” suite, a thrilling work, full of high drama and wonderful melodies which, as the word suggests in its Sanskrit incarnation, contains music that comes into being as if by magic. It is fitting that someone with near-supernatural facility as Simon Thacker should be behind its ‘creation’, although conventional wisdom would suggest that he is merely a lightning rod for such a spiritual piece that combines visionary spectacle and intelligent drama. The term “world music” uttered in today’s time and space has come to mean very little, but in Simon Thacker it has been reborn, in his epic sorjourn that takes him – like an ancient Roma traveller from India, through Spain and finally northwards to Scotland. In his Homeric account of his travels, he recounts the stories of his one-world with fingers that do the talking. And they are at their ravishing best throughout this recording. The guitar is fiendish to write for, thanks to its intricate possibilities and limitations of four fingers, six strings – all tuned for this performance, at least, in non-standard pitches, and 19 frets. Easy-looking music on paper is often actually impossible to play. None of this is made any easier by the innate complexities of Indian, Roma, Spanish and Gaelic music, which blooms, spring-like, throughout this album. The instrument that Simon Thacker plays seems to have a huge vocabulary of sounds and effects, which he magically deploys to make it sound as big as an ensemble. They range from harmonics and pizzicato, to technique exotica such as ‘nut-side’, ‘nail-sizzle’ or ‘bi-tone tapping’ a battery of percussive colourings as if his guitar comes with a drum attached – and when he bends and elongates notes – especially on the Gaelic fare – you’ll thing that Simon Thacker’s guitar has a keening voice attached as well. Add to that the fact that this odyssey undertaken by Simon Thacker is abetted by the prodigious cellist Justyna Jablonska. Hardly along for the ride, though, Jablonska embraces the richness of her instrument and the repertoire with enigmatic brilliance. It’s only when you read through the exhaustively detailed booklet notes by Simon Thacker that you realise that Justyna Jablonska has Roma heritage, which makes the blood coursing through her veins bittersweet, wonderful and part of a soundworld so big that it seems rooted not only in her demonstrably classical one, but also in a peripatetic Roma spirit as well. The mystical imagination in Justyna Jablonska’s playing never runs out; not in the “Karmana” suite, or in the ethereally beautiful Gaelic music that follows it as well. Even with the Gaelic background of Simon Thacker, none of the music – and I do not mean to be facetious – would come alive in “La Cârciuma de la Drum” the traditional Roma piece were it not for the voice and virtuoso violin playing of Masha Natanson. A similar poignant beauty is brought to bear on “Ruaigidh Dorchadas /The Highland Widow’s Lament” a breathtaking piece of music adapted like the aforementioned piece by Simon Thacker and voiced by Karina Polwart. In the latter work, Thacker, taking a leaf from the studio production wizardry of Sir George Martin, uses contemporary manipulations of recording tape to play parts of the melody in reverse adding to the ethereal – and certainly – ghostly beauty of the piece. In closing Simon Thacker lets his deep affiliation for classical Hindustani music arise once again and he harness its charmed power in a “jugalbandhi” or duet with tabla-master Sarvar Sabri. All told, you will be hard-pressed to find a performance so immaculate in its content as well as in the sound engineering by Scotland’s Stuart Hamilton and Calum Malcolm. Track List: 1. Karmana: Part I. Initiation; Part II. Albedo; Part III. Half Moon Dreaming; Part IV. Ouroboros; V. The Chariot of the Mind; VI. 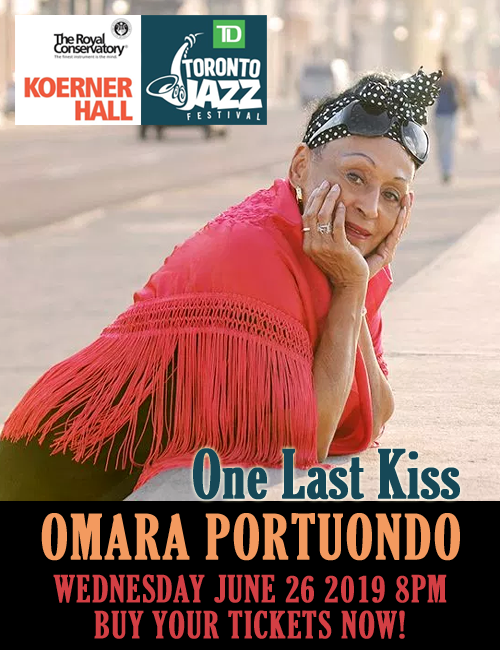 Finale. 7. Obyrtac; 8. La Cârciuma de la Drum (Trad. Roma); 9. An t-Iarla Diùrach (Trad. Gaelic); 10. Ruaigidh Dorchadas /The Highland Widow’s Lament; 11. Aruna. 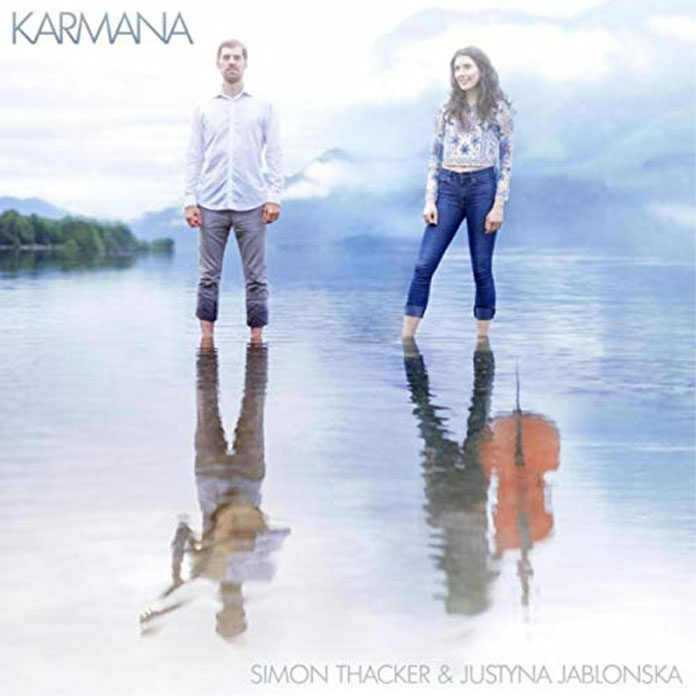 Personnel: Simon Thacker: classical guitar; Justyna Jablonska: cello; Karina Polwart: voice (10); Masha Natanson: voice and violin (8); Sarvar Sabri: tabla (11). I just want to thank you Mr. da Gama for opening up a whole new world for me by introducing me to this astonishing artist with this review. I don’t know how I have spent decades savoring parallel work by Shakti, V.S. Bhatt, Jonas Hellborg and Shawn Lane, U. Srinivas and others without encountering Simon Thacker but my jaw is on the floor after listening to this new CD and his earlier masterpiece “Rakshasa.” I am very grateful to you for this as well as many other discoveries!